I was awakened earlier than normal yesterday morning by my little ones. I struggled to fully awaken as I made my way down our staircase to start our breakfast and morning routine. But my mood quickly turned as I turned into our kitchen and saw a present left on the counter. 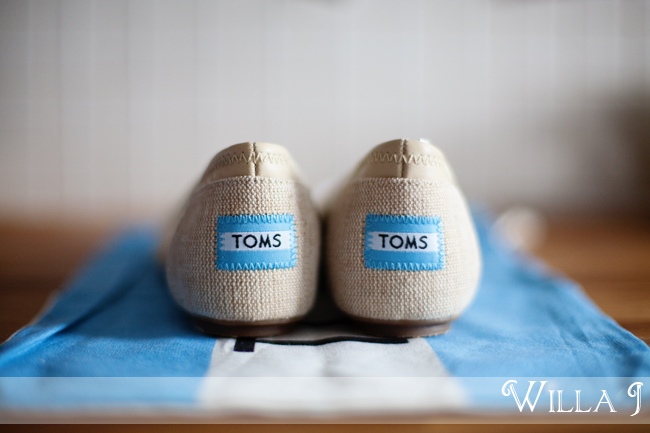 J surprised me with some Toms that I had pinned on Pinterest. I'm so grateful for a husband who takes notice of my wishlists and still surprises me after almost seven years of marriage.